As you might have noticed we do love travelling over here at Babyccino. Being based in Europe, especially Paris, makes it particularly easy to jump on a train, into a car or even a plane and discover new cities and countries. I try to take full advantage of this, but travelling is definitely not cheap, especially accommodation for a whole family. We’re lucky enough to have a lot of friends spread over Europe that we can stay with, but not every city in Europe has a friendly bed for us to crash in. So I have gone back to my roots and re-discovered youth hostels. Turns out that they are ideal places to pack in a group of children and grown-ups. Now, I have to admit that the youth hostels I have discovered are very different from the ones I stayed in during my days of Inter-railing across Europe. Gone is the flaky paint on the walls, the nasty neon lights and the horrendously uncomfortable mattresses. 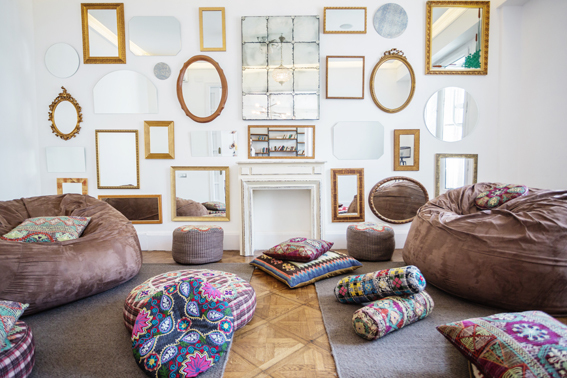 There is now a new breed of youth hostel — let’s call them “boutique” hostels — that have sprung up all over Europe and they are the perfect solution for traveling in a larger group. Last year we stayed in lovely Casa Gracia in Barcelona (pictured above). We were travelling with friends so we had a big room with a bathroom all to ourselves. It had all the advantages of a hotel (a great breakfast, a good inexpensive evening meal and a excellent tourist service) with addition to a kitchen that all guests were free to use. It was, of course, a lot cheaper than a hotel could have been (I believe it was around 27 euros per night per person). This year we went to Venice and stayed at the Generator Hostel. Again we had a big room and bathroom that we shared between kids and friends. The view from the room is across the lagoon over St Mark’s square, which is quite a breathtaking thing to see first thing in the morning. Again it was super child friendly, with a laundry room, inexpensive food and an excellent laid back bar and common area, great to relax and play in after a long day of sightseeing. 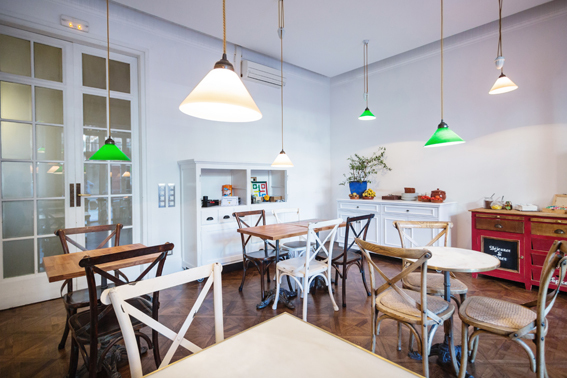 I also like the look of the Woodah Hostel in Copenhagen, the Plus Hostel in Berlin or the U Hostel in Madrid! Have you ever stayed in a youth hostel with your family? Do you have any places to recommend? I would love to hear as I cannot wait to get our bags packed up again! We always do airbnb or hostels with our kids. In copenhagen the Danhostel is also good and has amazing views and recently we staying in the Gordon Inn in Tel Aviv which was fantastic and so close to the beach. Thank you for this post. We love traveling but since having our daughter the costs of having an extra person in our hotel room have really pushed the prices up. Can I ask where you find these places? I travelled to Venice pre kids and stayed in an expensive hotel. It never struck me as a city that had cheap and decent accommodation. This looks like a good recommendation especially now I have children. Thanks! I second Casa Gracia! We stayed there in September just gone for 3 nights in a 3 bedded room with its own bathroom. Very stylish and spotlessly clean. Nice breakfast on a lovely terrace. Well situated, very close to Sagrada Familia and within easy metro distance of the city centre, beach and Park Guell. Lovely. Around 90 euros a night I think incl breakfast. Will put your Venice recommendation on my list of places to go! here is a great hostel to stay in Florence – funky, inexpensive (for out of control Florence prices! ), and in a great neighborhood http://www.ostellotassofirenze.it/rooms. This is excellent, we are going to Spain so great tip! I was just thinking how great it would be if you all put your collective travel experience together and wrote a post with all your best travelling with children tips (I loved your one about bright colour so children are visible when travelling by train and I loved Courtney’s post on long haul flights) When doing a long road trip should you drive through the night or leave early? And how on earth do you pack? Just when I think I have nailed packing it turns out half the clothes aren’t worn or all the undies run out on the third day. Do you have any suggestion to Amsterdam? Thank You. Do you have Amy suggestions for London? This is a brilliant idea! 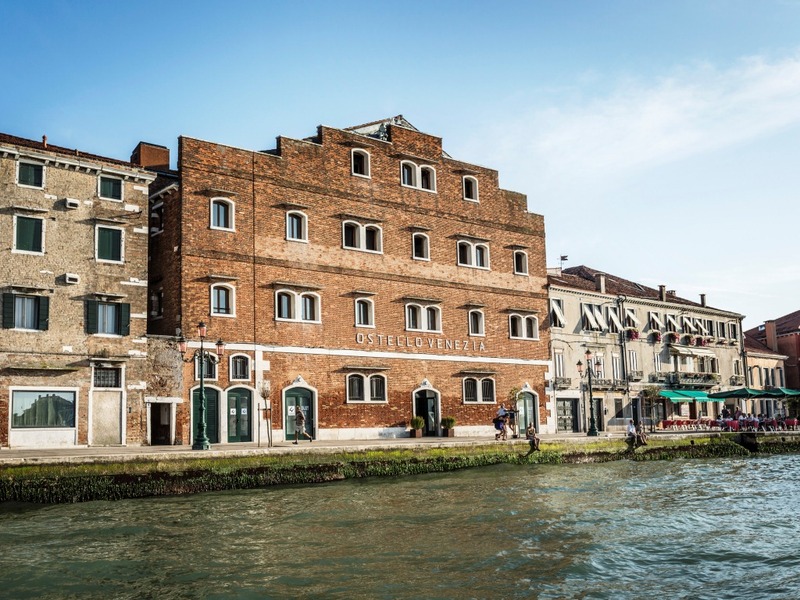 I am heading to Venice in a month and would like to test out the Generator Hostel with my family. Did it get too loud with the bar on the main floor? Thanks!